§ November 11th, 2009 § Filed under Uncategorized Comments Off on A little Bogdanove appreciation. 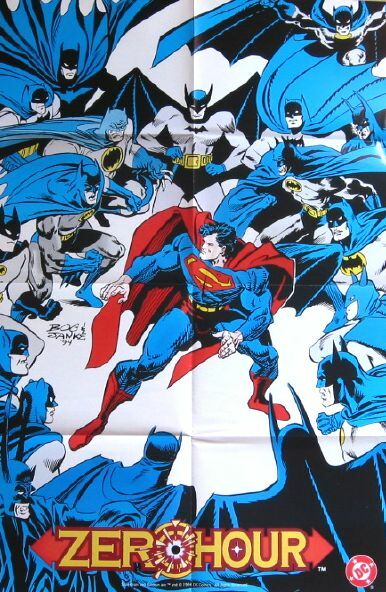 Now, about that poster from yesterday…that image was taken from the cover of Superman: The Man of Steel #49 (Oct. 1995), and, as Tom and others noted in the comments, the pic certainly evokes a Batman feel. The story inside isn’t particularly moody or Batman-ish, as it involves Superman fighting leftover Byrne villain Skyhook. But then, Skyhook’s shtick is turning kids into bat-people, so maybe that’s the connection there, tenuous as it is. But again, like I said in the comments, it’s not as if I don’t like Jon Bogdanove. I do. I think he did a swell job during his run on Man of Steel …very loose and cartoony and fun. I realize it’s not to everyone’s taste, but hey, we don’t all have to like the same things. 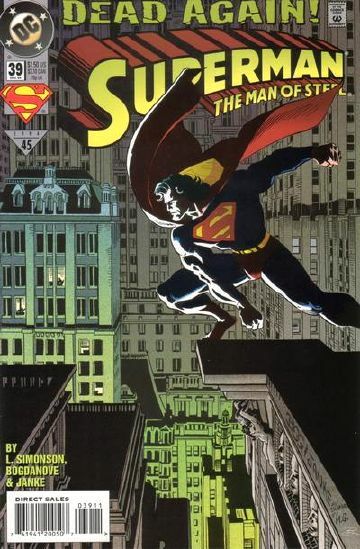 I didn’t even mind the image from that poster as a one-off cover, out of the half-dozen or so Superman covers DC published that month, just for a little variety. But as the image for a store to hang on the wall to advertise the Superman books? They couldn’t find anything a little more…Superman-ish? 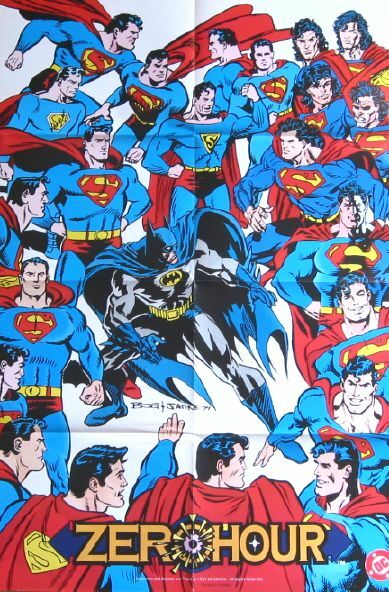 Always thought these were pretty neat, but I wish the Supermen were more posed looking inward at Batman, like the Superman/multiple Batmen poster. Though perhaps it may have been harder to tell what style was being mimicked without seeing Superman head-on. I might have liked that image better as a promo poster for the Superman line of books.